Boys and Girls (2000) – Quirky early millennium fun, complete with a choreographed dance scene and a cheesy romance. This flick tells the story of two people who meet on a plane as tweens (around twelve years old) and find their lives intersecting now and then over the next several years, until they finally become best friends in college. Freddie Prinze, Jr. and Claire Forlani are the pals in question. They have nice chemistry, and the movie is a pretty good watch if you’re a fan of rom-coms. The pace is somewhat inconsistent in the first half, and I could do without the subplot involving Jason Biggs and his attempts to find a lady-friend, but overall Boys and Girls is very enjoyable. Light viewing. I wouldn’t mind watching it again. Hot Tub Time Machine (2010) – A decently-funny film that’s at its best when it’s spoofing the ’80s, and when it’s making reference to the conventions of time travel tales (which is pretty much the entire point of Chevy Chase’s character). I didn’t laugh through every minute of it, but I was less underwhelmed by it than I am by most new-release comedies. 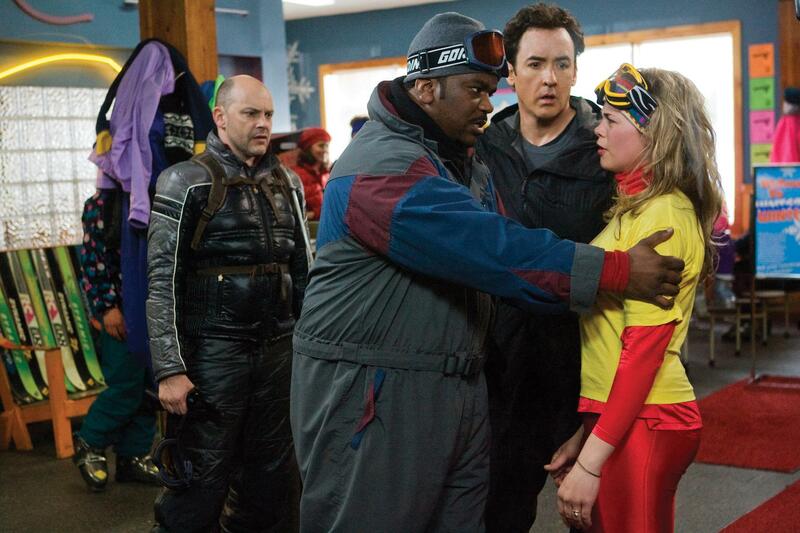 Hot Tub Time Machine 2 (2015) – Amusing at times, but I feel the same way about this as I did about the first: it’s just average. And it’s got none of the fun of the ’80s this time around! I do like the film’s kooky-but-not-implausible view of the future. (Cars that drive themselves are being developed!) The murder-mystery plot keeps the viewer at least somewhat interested when the jokes fall flat. That being said, though mildly enjoyable, the best part of the film is it’s ending — where the characters are briefly shown visiting a number of different historical periods, and are photoshopped into events like the signing of the Declaration of Independence. A whole film of the gang time-hopping to various landmark moments probably would have been a lot better (especially if John Cusack had signed on). 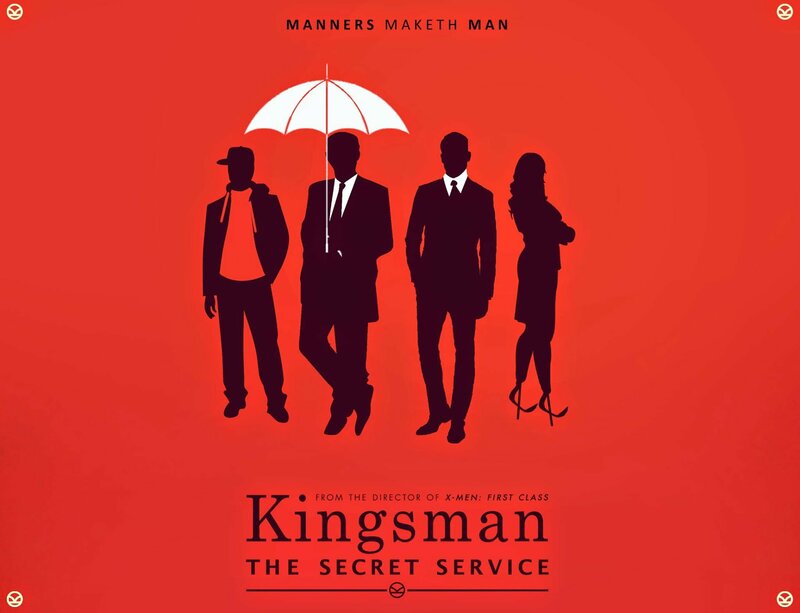 Kingsman: The Secret Service (2015) – A fun spy flick with a very interesting and appropriately over-the-top story to tell. It blends the traditional “gentleman spy” film with some surprising elements of dystopian fiction: a crazed billionaire planning to destroy and recreate society, a handful of young whipper-snappers training/competing to become spies and help take him down, a young man saving the world. There are plenty of neat gadgets (bulletproof suits, deadly pens, umbrella stun-guns). The performances are good, and the action scenes are for the most part nicely executed. My one complaint is that I wish they would have given the female characters more depth.